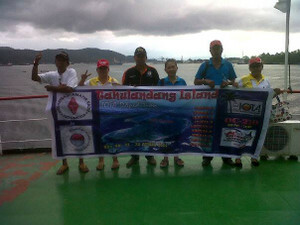 I copied the joining member for OC-210 Tahulandang Island. 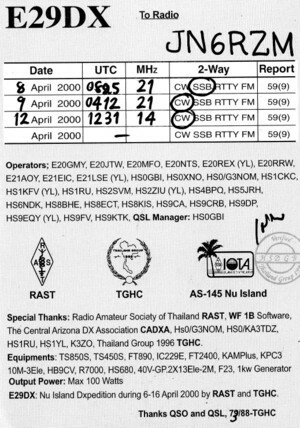 The operators are YB8RW/P, YB8RXA/P, YB8SX/P, YC8RUS/P, YD8TWV/P, YD8UFD/P. Is it OK? 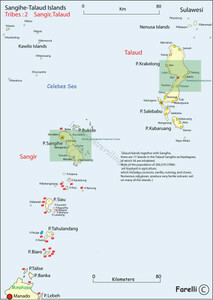 I must make the Indonesian Islands operating list 2014. 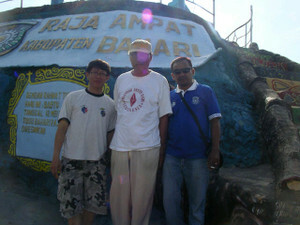 - Karakelong Island, Salibabu Island and Sara'a Besar Island OC-209 as YB3MM/8 soon. 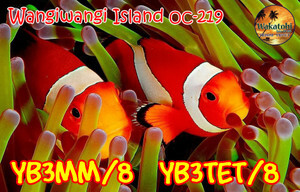 - Masalembu Island OC-250 as YB3MM/P. Waiting "something"
I just received envelope this evening. I got 2 QSL cards in this envelope. 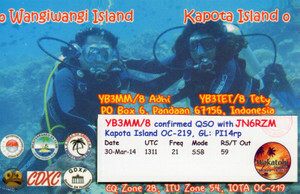 Those are OC-219 Wangiwangi Island QSL card & OC-219 Kapota Island QSL card. 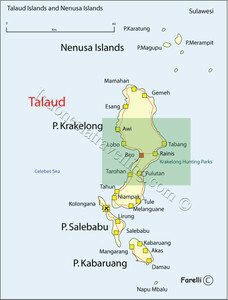 This Kapota Island is the 1st activation on IOTA activities. 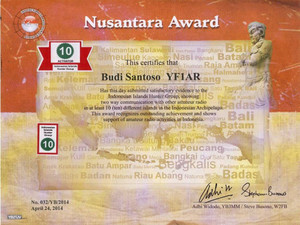 Of cause, it's a new one for Nusantara Award. This is YB3MM Adhi's consideration. I am very happy. Terima kasih Adhi-san. This is my current location. 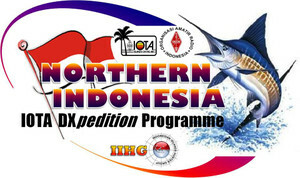 A group of operators from Papua Barat (West Papua) will depart Sorong in a few hours for Waigeo Island in Rajaampat Regency and activate this island for the first time for Nusantara Award, it counts for OC239. 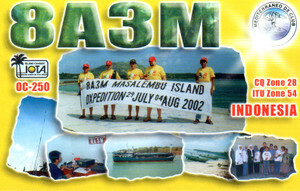 Doom Island YB9WZJ/P and YB0MWM/9. YC9WIC will continue operation on as time permit basis. 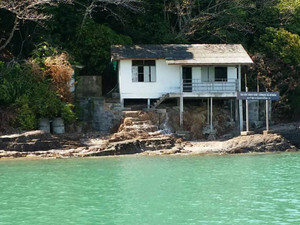 He will be on the island until May 1, 2014. When he operates it is likely in the evening his time after 12Z. The team will bring a fullsize monoband 20M yagi and vertical for other bands to maximize contacts for those looking for this IOTA. 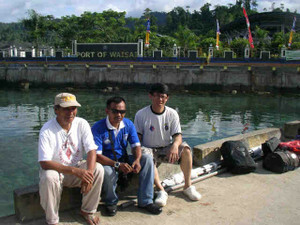 Rajaampat Regency is the host of the West Papua Regional MTQ (Al Quran Recitation Competition). The national competition will take place later in June 2014. For those of you not familiar with Al Quran Recitation you can search youtube and listen to some of them. They are quite beautiful and very melodic. I grew up in Java and remembered waking up to the prayer call every morning. I have received your Paypal Transfer / OQRS. 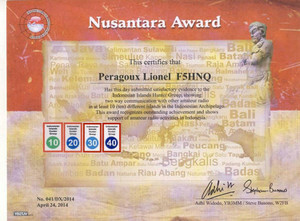 Here I would like to tell you, that the reply of QSL card have departed today. It will reach you between 2 weeks until 2 months, depends on something I don’t know. 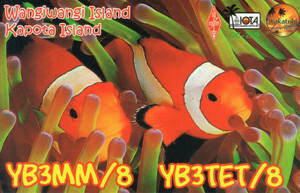 After certain of time, if this QSL card is not arrived, please don’t hesitate to inform me. I will be QRV again on the end of April ~ beginning of May. 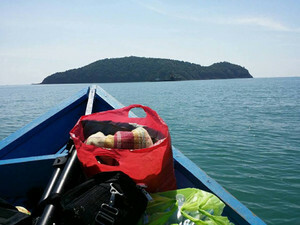 * OC 109 MIDAI ISL, by YB4IR IMAM alone. 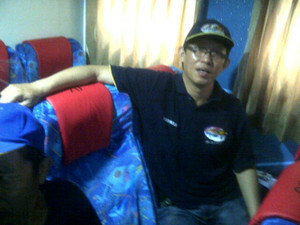 * OC 122 Tambelan YB9WZJ Joni Salim. YC5RA and me. 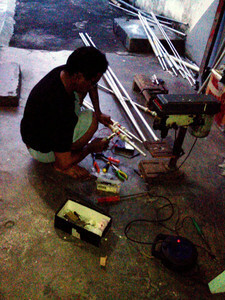 Start on The sametime aproximately after 10 of May for 10 days, btw depend on transportation. 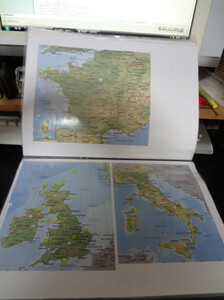 I have told Steve about our planning. 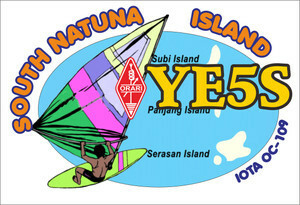 FK - FK8GM and FK8CR will be active as FK5M from Matthew Island (OC-???). Until then, we have a rare opportunity to engage in idle speculation on what these new groups might be. While the IOTA Directory does have have some possible entries --IOTA placeholders marked with an asterick (*) instead of a Provisional number (-###P) --, that would only account for a maximum of five new ones, not ten. So where do the extra new ones come from? This is where we have some fun guessing. Between all of us, we could possibly predict most of the new ones. Below are my guesses and why. I encourage you to submit your guesses – the top IOTA chasers and activators are on this reflector, so please give us your analysis ! 1- Add Jamaica 6Y5 coastal islands (Morant Cays, Pedro Cays, Port Royal Cays, Great Goat, etc). 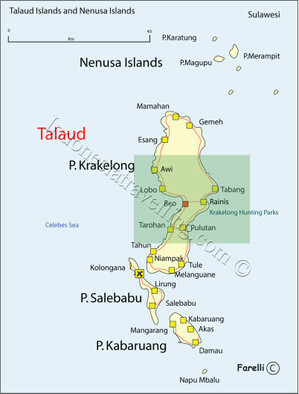 I believe this is the largest island without a coastal sub-group. 2- Add Puerto Rico KP4 coastal islands (Culebra, Vieques, Mona, Caja de Muertos, etc). I believe this is the second-largest island without a coastal sub-group. 3- Separate Hawar Islands A92 from the main Bahrain group. The Hawar group is physically separate from Bahrain, and actually offshore Qatar. 4- Split the Cayman islands ZF2 into two groups: Grand Cayman keeps NA-016, Little Cayman and Cayman Brac get a new reference “eastern Caymans”. 5- Separate Sombrero island, as it is quite distant from its parent Anguilla VP2E and its satellites. 6- Separate Kastellorizon SV5 from the rest of the Dodecanese. 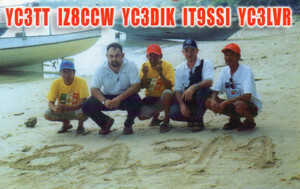 QRT now, with QSO total 2857 QSOs. 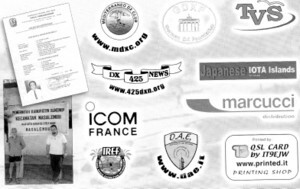 TNX for your supports and also for our nice QSOs. 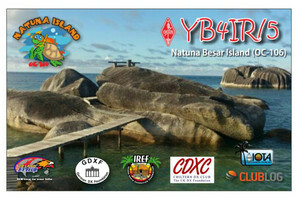 YB4IR/5 OC-106 Natuna Islands rx video. 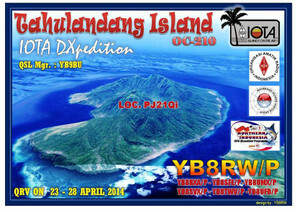 Din YB8RW and friends will active from Tahulandang Island OC-210 on 23-28 April 2014. 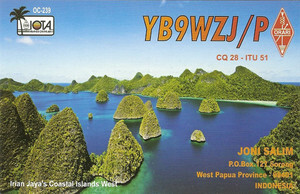 QSL reply of OC-219 will start today. Usually it will reach between one week until one month, depends on something I don’t know. Thanks for QSO, and hope to meet you again. 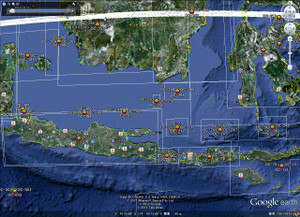 Many thanks for the validation material for your OC-219 operation from Wangiwangi Island and Kapota Island. Everything is fine and we will accept your cards for IOTA. Congratulations on the operation. Kambode (also known as Kapota) will count OK for OC-219. I have started pre-processing the yf1ar/0,3,4,7,8,9 as well as my other QSL backlog. Pre-processing means that I am beginning to print labels. It will take me several weeks to get them all out because I am also in the middle of the FT5ZM QSL project. I was delayed because I was a team member of FT5ZM and when I returned home we had a death in the family and some other family health issues. But now everything is much better an we are trying to catch up. But it will be a little more difficult than normal for me to get current. So please be patient with me. 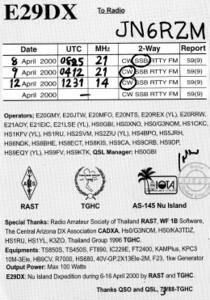 We are working on the QSLs as time allows. I will be going to Dayton! 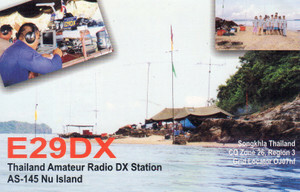 Hope to meet many IOTA and DXCC chasers there! Thanks!! A proud team member of FT5ZM – Amsterdam Island 2014! Your support is sincerely appreciated! The key event at IOTA’s 50th Anniversary Convention, to be held from 4 to 6 July, will be the announcement of 10 new IOTA groups, the first new tranche to be added since year 2000. Two of these 10 will be left for final decision at the Convention on the basis of evidence-supported representations made in person by delegates. All additions to the list will conform with IOTA rules amended in a minor way in the new IOTA Directory to be published in early May. It is envisaged that much of the discussion between DXpeditioners attending the Convention will be on their plans to activate these new groups and achieve that NEW ONE badge. Join this exciting occasion by enrolling for the Convention on www.rsgbevents.org where the special discount price for attendance has been extended to 30 April. Decisions taken will be notified on the RSGB IOTA website after the Convention. The IOTA Committee has decided, as part of the strategic planning, to review the island list every five years. The next such occasion will be in 2014 to coincide with the 50th anniversary of IOTA's launch. It is expected that any changes made will be very small. 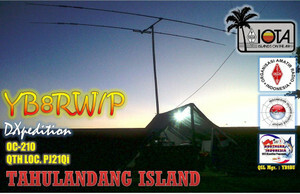 YF1AR/8 OC219 already online on Clublog. please, qsling OQRS via YF1AR/8 Clublog. 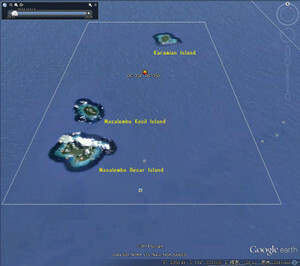 Kapota Island is not yet listed in OC-219 on RSGB site, and now under validation by Roger G3KMA. 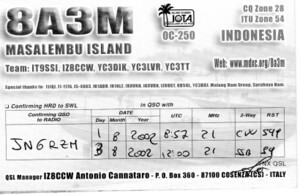 All logs have been uploaded to www.clublog.org under callsign YB3MM/8, and will be followed to LoTW soon. QSL delivery will start on Monday, 07-Apr-2014 Thanks for nice contact. And... thank you also for your donation. 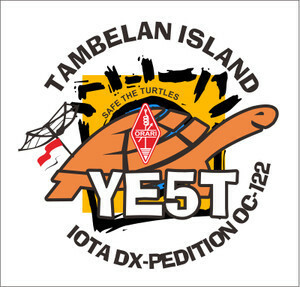 This donation will be used for my next IOTA pedition on early May-2014.